Charles Finney (1792-1875) knew about Revival, he knew how to be a soul-winner. Charles Finney was a man with a message that burned through the religious wood and secular darkness of his time. Finney was a lawyer by trade and did not come to know the Lord until he was nearly thirty years old. Charles Finney was criticized for nearly everything like most people who are being used by the Holy Ghost. Finney had made enemies of his day, in his culture and among the religious. Dr. T.L. Osborn in his book “Soul-Winning” says “criticism is admiration awkwardly expressed, people often criticize those ahead”. One of the main reasons why Finney was criticized among the religious was because Finney believed that man could start a revival, that we could actually initiate a revival. He defied the belief that some were predestined to be saved and some predestined to go to hell. Finney says “there is no salvation in the doctrine of election and that unless a man repent he will be lost.” It was Finney’s belief that motivated him to evangelize the lost, to confront sinners, to initiate revival in the church. Finney’s passion caused him to be one of the greatest revivalist of all time. He led about 250,000 souls to Christ which is a big number considering the time he lived in. 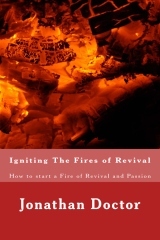 Charles Finney’s books reveal his secrets to revival, In chapter 1 which is entitled “How to start a Revival” he says “Revival is renewed conviction of sin and repentance, followed by an intense desire to live in obedience to God. It is giving up one’s will to God in deep humility”. Charles Finney knew how to stir up the hearts of man to seek God, to go to the Lord with repentance, to equip the church to win souls. The book of James says “Draw near to God and He will draw near to you”, with this promise who does the initiation? The person has the initiative to “draw near to God”. 2Ch 7:14 NLT Then if My people who are called by My name will humble themselves and pray and seek My face and turn from their wicked ways, I will hear from heaven and will forgive their sins and restore their land. The Lord gives us the initiative to Go to Him, Jesus said “ask, and it will be given, seek and you will find, knock and the door will be opened to you”. The Lord through the prophet Jeremiah said “Call unto Me and I will answer thee”. God has given His word that we can initiate things. You know it’s time for a revival when there is a lack of brotherly love, and Christian confidence among believers. You know its time for a revival when there are dissensions, jealousies and evil rumors within the church. You know its time to initiate revival when the church has no interest to serve, no concern for those dying and going to hell. You know it’s time for revival when sefishness and pride and no fear of God is in our churches, homes and culture. Revival is needed when there is a worldly spirit upon the church, a compromising spirit, when the leadership is living in sin, when the Word of God is watered down and neglected in personal devotion. Its time for revival when you see “Christians” conforming to the world in music, dress and talk. Revival is at hand when we see sinners be careless and stupid, you know its time for a revival to WAKE UP the church to get to work. It is as much the Christians duty to wake up as it is the fireman’s duty to wake up when a fire breaks out. The church and the Christians in the church must now WAKE UP to put out the fires of hell that are consuming the wicked. We must WAKE UP to get the sin out of our hearts and lives, out of our churches. Is it time for a fireman to be asleep when people are burning up? The fireman would feel guilty and be guilty of neglect of duty for not waking up, for staying in their comfort zone. The Christian will suffer the same guilt and be guilty of neglect of duty as they sleep while souls around them are going to hell for ever. Instead we must REVIVE, WAKE UP. It is our responsibility to WAKE UP and revive. Charles Finney says “the fact is, Christians are more to blame for not being revived than sinners are for not being converted.” A church cannot continue without revivals, without revivals the church will have more die in a year than new believers added to the church. One of the first things we must do to start a revival is prayer; serious praying for revival. A church who has the Spirit of Prayer for revival will also have a deep concern for souls. The Greek word for “Watch” is gregorio it means to be AWAKE and watchful, vigilant. We get the term “Prayer Vigils” from gregorio. It is like the watchman, keeping watch of dangers and someone who is always aware of the situation. Jesus told us to “watch and pray” he used the same word. Mat 26:41 KJV Watch and pray, that ye enter not into temptation: the spirit indeed [is] willing, but the flesh [is] weak. We must not grieve away the Holy Spirit when He comes as a result of our prayers. Unless we remove the sin from our hearts He will not stay, one cannot continue in their hidden sins of the heart like pride, and and expect a baptism in the Holy Spirit. Unless we “grieve NOT” the Holy Spirit, He will NOT stay. Hos 10:12 KJV Sow to yourselves in righteousness, reap in mercy; break up your fallow ground: for [it is] time to seek the LORD, till he come and rain righteousness upon you. We must prepare our hearts for Revival by breaking up the fallow ground of our hearts. Eze 36:26 nlt And I will give you a new heart, and I will put a new spirit in you. I will take out your stony, stubborn heart and give you a tender, responsive heart. Eze 36:27 And I will put My Spirit in you so that you will follow My decrees and be careful to obey My regulations. Revival consists of two parts: 1st that which affects the church and 2nd that which affects sinners. The Bible talks a lot about having a hardened heart, a stony, stubborn, a non teachable or correctable heart and attitude. The heart is like soil, whatever you plant in it will produce a harvest given that the it is good ground and not full of weeds or even worse is nothing but a hardened ground. Stubborn people have this kind of heart, and unless this ground is “fallowed” or broken up, un hardened, than that person will suffer going to hell. The Lord spoke a great deal against the hardened, heart person, the “stiff-necked” who will not repent or change. Stubbornness is as Idolatry. We see a great example of how to break up fallowed ground and start a revival in ones heart by reading about Samuel confronting Saul. 1Sa 15:23 KJV For rebellion [is as] the sin of witchcraft, and stubbornness [is as] iniquity and idolatry. Because thou hast rejected the word of the LORD, he hath also rejected thee from [being] king. 1Sa 15:24 And Saul said unto Samuel, I have sinned: for I have transgressed the commandment of the LORD, and thy words: because I feared the people, and obeyed their voice. You can break up the hard fallow ground of your own heart by self examination. Soften up the ground of your heart by looking inside and examine your motives, examine your thoughts and intentions of your heart. Make it a point to do this, don’t be in a hurry and let the Word of God, the Spirit of God give you a supernatural heart examination. The Lord is The Great Physician and let Him do a little heart surgery to you, He is The Lord of the Harvest, let Him plow your ground and up root the bad seeds and roots of bitterness, let Him up root things that would grieve the Holy Spirit. Let the Lord of the Harvest plant and bring forth a harvest. As He points out these issues, stop and repent, and plant the seed of the Word of God in its place. Sow the seed of the Word of God in your heart concerning the issue at hand. The Lord of the Harvest knows how to plow, uproot, sow and water. Self examination is opening up your heart and looking at your life and allowing the Lord to like a computer virus scan in your system looking for “threats” and things that contaminate your system’s function. Self examination is looking at your true character, examining your sin one by one and cutting its life source. It will revive and resurrect your conscience, causing it’s sensitivity to come back. Don’t have a seared conscience and be stubborn. A seared conscience is someone who has no or little conviction and is so used to resisting the Holy Spirit that they have a seared conscience. Examine yourself in light of the Word of God and find out why do you do the things you do, why do you say the things you say, examine your character and motives of the heart. Self examination of your sins is a detailed examination and remember don’t just repent of “sin” in general but confess every one of them to the Lord. When you committed those sins you did them one at a time and it would only be Right that you repent of them one at a time and completely focus on uprooting it and replacing it with God’s Seed – The Word. As you examine your heart don’t forget the sins we commit that would be considered “omission” like the things we NEGLECT, like not being thankful. Ingratitude is a sin that needs to be repented of, there is no blessing that you have received that did not come from the Lord. God’s Grace saved you and continually blesses you, do not neglect your duty to thank God. Another thing we must look at is our lack of Love for God. How would you feel if your wife or husband that loved you so much now is bored of you, takes you for granted, and doesn’t pay much attention to you anymore unless they want something. How would you feel if their passion for you was gone? Repent and make it right and revival will come to you. Another sin of “omission” would be of neglecting the Word of God and Prayer; allowing doubt to creep in to negate what you used to believe. The God of Truth has promised to give the Holy Spirit to those (of His) who ask Him (Luke 11:13) Do you believe this? Do you expect Him to answer? Poor spiritual attitude is a sin that must be repented of, a lack of concern for unbelievers, a lack of love for the brethren; are you keeping your accounts straight with God? The sins that we willingly commit out of our free will of choice also must be repented of. Vanity and Pride are things that must be put out, the Word of God says that a little leaven leavens the whole lump (1 Corin. 5:7). Do you put more effort on your outside appearance than you do on the inside appearance to God? When you get ready for church do you get ready spiritually, or is it all about outward appearance? Man looks on the outside appearance but God looks at the heart. Do you have a critical spirit? Remember the times you had a bitter spirit about a brother and spoke against him in a way that was not in love. Have you ever slandered a brother or sister? I am getting in your business now like Samuel did Saul, like Nathan did David, now its Jonathan and you. Do you have a lack of seriousness in the things of God? Don’t be offended these are things that hinder revival, get them out of your heart and you will experience Revival, Refreshing and Remission with the Presence of the Lord again. If you are like me you are repenting as you are being ed in the heart. We all need a Nathan who will point his finger at our nose and say “Thou art the man!” Deception is a lie and done with intention, do you have a lying spirit? Have you ever lied to get your promotion or to receive an extra benefit? Cheating and hypocrisy and robbing God are sins that must be repented of individually and each one dealt with separately. If you sinned against God get it right, if you sinned against man, get it right and do your best to fix it with the person before moving on. Jesus said to not even give an offering unless you deal with the issue of the heart concerning your brother. As I, by the Grace of God, try to revive and resurrect your conscience from the and call it to accountability with God and His Word, your ground, your heart will be ready to experience revival with your spirit burning aflame. As Paul told Timothy to “stir up the gift of God within you” as Peter said in his epistle to “stir you up by way of remembrance” I hope I stirred you up to seek God to correct these issues and to be good ground for the spirit of prayer and revived to evangelize the souls around you. The secrets to Revival are not secrets anymore, we must come back to our first Love, we must not be luke warm, we must return to the Lord and get our hearts in sync with His through repentance, repentance from religious works, prayer and going back to making the first thing first. When we come to the Judgment Seat of Christ we will each give an account to Him for what works we did and did not do. I exhort you today to go back to your first love and go back to doing what He told you to do. Remember the sleeping fireman, and don’t be a sleeping Christian. Don’t lose the Life of God, the Zeal of the Lord is in you, that Divine Spark of Life that came from Heaven is in you ready to explode. Keep yourself examined to be free of revival and blessing hinderances. That is life stirring, this is where I’m at right now. I’ve been a Christian for 16 years; before this I was a gang member and drug dealer. I never knew God until 16 years ago. Jesus totally changed my heart, I never went back from Him. I’ve read about revivals and healings…Smith Wigglesworth, Finney..etc. but I don’t just want to read about it….I want the Holy Spirit to burn through ME! Thank you for this sermon, I will print out and keep. Please send me more! I was wondering if I could use your side as a source for a position paper I am doing- whether revival is started by us moving God’s heart and hands to act or God moves to act on His own without our prompting. Also, if you have any other thoughts and would be willing to help me that would be great! Thks for this piece. 1st i need a revival before the world. I’m gone to inform my little brother, that he should also visit this weblog on regular basis to obtain updated from latest news update. I have joined your feed and look forward to searching for extra of your magnificent post. Inspiring! I am the revival. I have to change first. Book available on amazon.com in paperback or Kindle. We have people coming that the body have not listened to before. I know a fresh voice goes deep, and moves the spirit. 3 evening of repentant hearts. Now how does the body remain in this Revival. Very heart rending and thats exactly what the church needs.